Rocla Commercial Ties are the cost effective solution for mainline track applications. 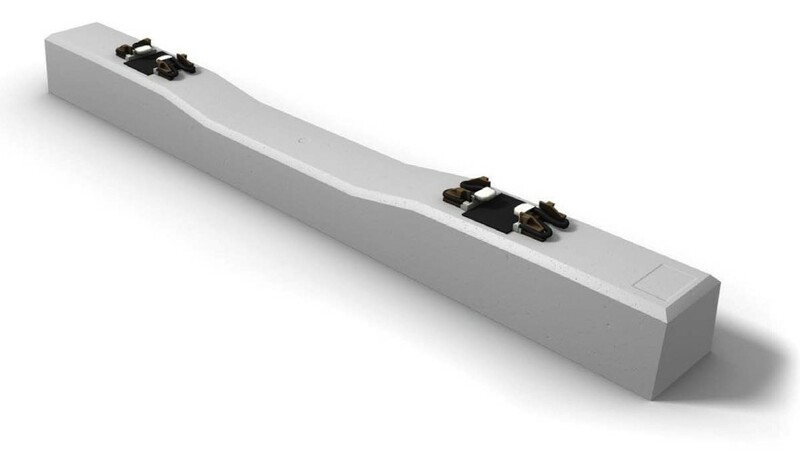 Concrete ties provide a stable track structure that is well suited for all types of mainline railroad applications in North America. From freight to transit, Rocla concrete tie products are not only the well-established solution in terms of performance and reliability, but also the most cost effective solution in the market. Over many years of continuous R&D we have developed an exacting manufacturing process that yields high quality concrete ties produced at maximum efficiency that are delivered to our customers on time. Rocla Commercial Ties are designed to meet the requirements of mainline tracks of all types; Commuter Rail/Freight/Industrial.